BLOOOM Award by WARSTEINER 2018, Germany’s largest open international young artist award, is open for submissions from 1 April to 31 July, 2018. The competition is open to any discipline of artistic expression and to submissions from all around the world. The organizers are looking for artists who work at the interfaces between art and creative industries, whose works blur boundaries of traditional forms of expression. Submitted artworks cannot be older than two years; they must have been created after 31 July 2016. Ten finalists are chosen to present their artworks in a special exhibition integrated into Art Düsseldorf, 16 – 18 November, 2018. At Art Düsseldorf young and established galleries show modern and contemporary art, which attracted 43,000 visitors in 2017. Three of the finalists will be awarded additional prizes at an award ceremony during the special exhibition. For one year, the winner of the first prize will be actively supported in his career: As part of a one-year mentoring by one of the jury members, the winner defines goals with the mentor to boost his career. Next steps are planned together and the winner benefits from the contacts and experience of his mentor. Additionally, the first place receives a travel to Art Basel in Miami or Hong Kong including 1,500 Euro pocket money. The second place gets the chance to exhibit in a selected gallery and to travel to Art Fair Art Paris, and the winner of the third place enjoys a one-day mentoring. 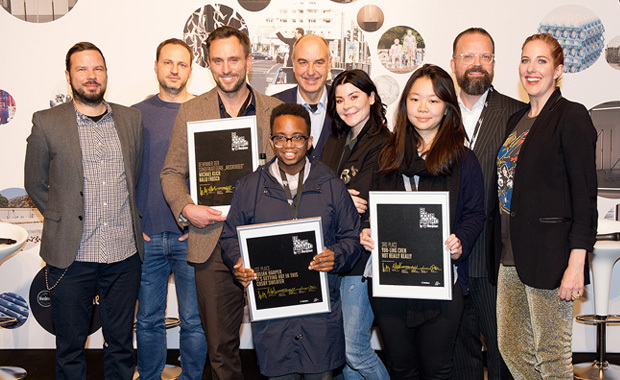 Since its beginning in 2010, BLOOOM Award by WARSTEINER has emphasized interdisciplinarity, power of innovation, courage and progressiveness. In 2017, more than 2,300 artists applied from 90 countries.